The government aims to strengthen and develop the power transmission network through Green Energy Corridor project. Green Energy Corridor is an intra-/ inter-state transmission system which is being implemented by eight renewable rich states in India – Tamil Nadu, Rajasthan, Karnataka, Andhra Pradesh, Maharashtra, Gujarat, Himachal Pradesh and Madhya Pradesh. 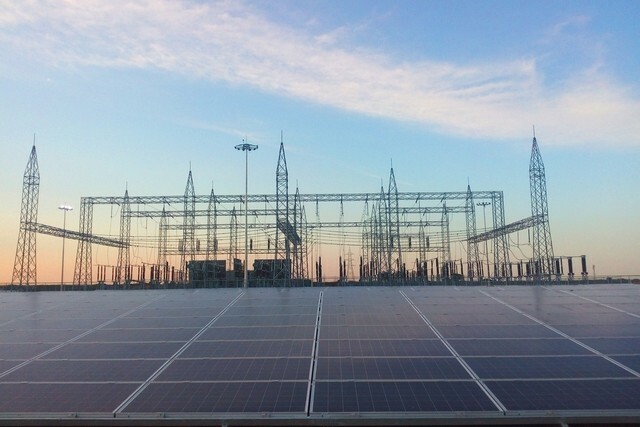 Intra-State Transmission System is being implemented by respective State Transmission Utilities (STU) and Inter-State Transmission System is being implemented by Power Grid Corporation of India Ltd. (PGCIL). The project is expected to be completed by March 2020 and is one of the major initiatives taken by the Ministry. The Government of India initiated the Green Energy Corridor project in 2013. The project aims at integrating large-scale renewable generation capacity addition with the main grid. The country needs to prepare itself for greater penetration of renewable energy. Grid stability and security are the main concerns for India presently. The Ministry of Power has proposed to set up Renewable Energy Management Centres (REMCs) to help integrate renewables into the grid. These centers will be responsible for forecasting and scheduling renewable energy generation at state and regional levels, and coordinating with state load dispatch centers (SLDCs). Projected to cost INR 10,141 crores, the project includes about approximately 9400 km transmission lines and substations of a total capacity of 19000 MVA. Projects worth INR 6,766 crore have already been awarded and INR 1,400 crores have been disbursed to the states. The funding mechanism consists of 20% state equity, 40% government of India grant and 40% KfW loan. KfW Germany has provided soft loans worth billions of euros, for the funding of green energy corridors, to the Indian government. Work on the first corridor, the Raigarh-Pugalur 800 kV ultra HVDC (UHVDC) system, started in May 2017. Development of the transmission network for power evacuation from upcoming solar parks is currently in progress in many states. Many high capacity corridors have been considered for development across the country. The progress has been quite slow given the bureaucratic hurdles and lack of a push from the industry. The project is important for strengthening and creating a reliable transmission infrastructure, evacuation of power from renewable energy projects and renewable rich states, and increasing the share of renewable energy generation. The renewable energy generation is increasing at a fast pace in India. The country’s cumulative installed capacity reached 20 GW for solar and 32.75 GW for wind. The country ranks fourth globally, in terms of wind power installed capacity, after China, USA and Germany. The pace should continue improving in the future. It is, therefore, high-time that the country prepares itself to absorb and transmit these huge renewable energy capacities.